We know that it’s the holiday season but we are already excited about January around here. January will be the first full month of classes at Relish. Next week we will have classes for sale here on the site. Now, however, is time for a little sneak peek. Would you like to learn how to make Moroccan food? Nourishing Mediterranean soups? Pie that makes everyone happy, especially the baker? How about learning how to live dairy-free, deliciously? We’ll have a cooking class every Wednesday evening for you. On Mondays, we will be offering a variety of art classes — from making your own journal by hand to lino-cut prints to flower arranging — along with snacks and wine. And one of those weeks, the class will feature our own Jamie Clapperton sharing how to make winter warmer cocktails. In January, we are starting a series of cooking class on Thursday mornings, for moms and dads who would like to start cooking smart on the weekends, prepping up for quick, delicious meals on the weeknights. You can choose one class or buy the entire series. We have a weekend baking class — cake decorating! — for parents and kids together. We have a cooking class for teenagers, who will prep up 3 recipes and bring the food home to cook dinner for their parents that night. And at the end of the month, we are starting our cookbook potluck club. In January, we are celebrating Julia Turshen’s Now and Again. Choose a recipe from the book and come together for a feast at Relish. Julia will be joining us via Skype to answer questions and be part of the community. You’re going to want to be part of this. How can you join us? Come back to this site late next week, when our classes go live and sign up for the ones you want! Or, buy a gift certificate for Relish right now, for your loved ones or yourself. And as soon as our classes go live, contact us at hello@​relishvashon.​com to let us know which class you would like to take. We’ll make sure there’s a seat at the table for you. 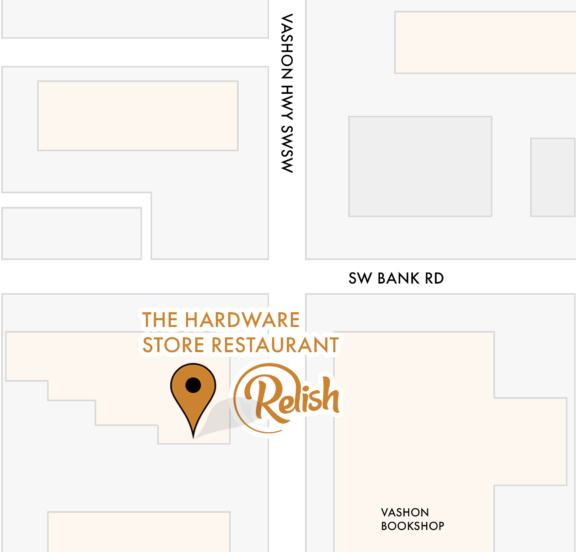 We can’t wait to see you in Relish.